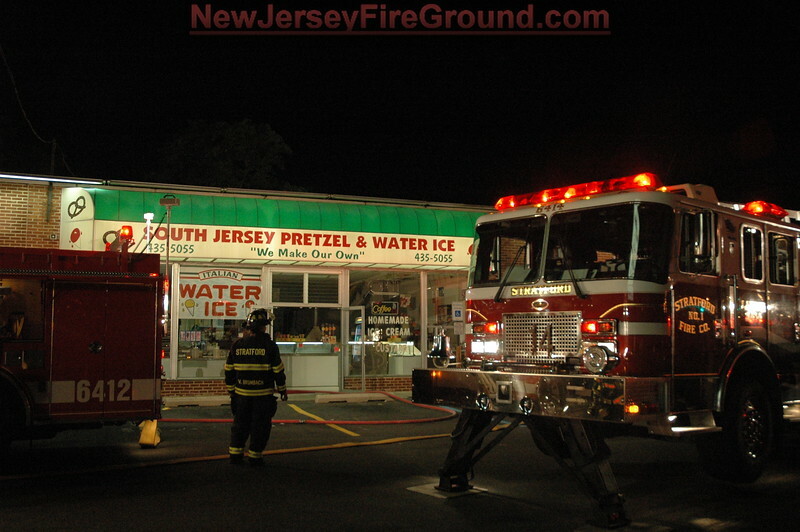 A box was transmitted in Stratford for a report of a building fire at the South Jersey Pretzel located at 912 White Horse Pike around 9:30 p.m. Companies arrived on location and reported a 1 story commercial with a fire in the roof area above the drop ceiling. Companies stretched a 1 ¾” hand line as the Truck Company went to the roof. Companies extinguished the fire located in the ceiling area with minor damage to the business. The fire was placed under control at 9:55 pm with no injuries to firefighters. The Camden County Fire Marshals Office has the fire under investigation.